If you feel that medical marijuana would be helpful for your multiple sclerosis, you're not alone. Many with MS use it and are fighting to make it legal in the US. Several states have legalized it's use for those who have certain medical conditions. Here's an article submitted by Dr. Mercola today explaining the history behind the use of marijuana and what it can do for those who are ill. Marijuana was a popular botanical medicine in the 19th and 20th centuries, common in U.S. pharmacies of the time. Yet, in 1970, the herb was declared a Schedule 1 controlled substance and labeled as a drug with a "high potential for abuse" and "no accepted medical use." Three years later the Drug Enforcement Agency (DEA) was formed to enforce the newly created drug schedules, and the fight against marijuana use began. The Huffington Post has a concise history of marijuana prohibition, and the struggle for legalization, that is well worth reading -- but the most successful movement to date, and the one that is set to produce the first legal marijuana market in decades, is the medical marijuana movement. Unfortunately, the feds have recently announced a blatant reversal on their previous pro-medical marijuana stance -- a move that is threatening to stop the industry cold. Why are the Feds So Concerned? Fifteen states plus the District of Columbia have laws allowing medical use of marijuana. In other words, in those states it is considered legal to consume, possess or distribute marijuana for medical use. 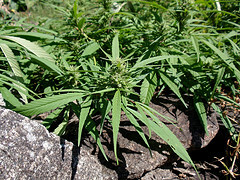 Up until 2009, the U.S. Justice Department essentially told federal prosecutors to lay off Americans producing and using marijuana in accordance with state laws. But despite marijuana's legal status at the state level, historically it was common for the DEA to raid medical marijuana suppliers and even arrest patients. This is because federal law overrides state law, defining the possession or distribution of marijuana as a criminal offense. According to The State of the Medical Marijuana Markets 2011, the national market for medical marijuana is now worth $1.7 billion -- and could grow to close to $9 billion in the next five years -- if not for a stunning reversal by the Obama administration. In October 2011, the Obama administration released a letter to clarify their earlier position, which, as Seattle Weekly reports, indicates, "The only people safe from arrest were the "seriously ill" patients and their caregivers... Everyone else? Be forewarned." The Obama administration has long been supportive of the medical marijuana movement, even stating during the presidential campaign that, "The basic concept of using medical marijuana... [is] entirely appropriate." However the Feds now appear to be launching a full-fledged attack against this legitimate industry, not only by threatening prosecution and arrest, but also by intimidating and coercing banks, land and store owners, as well as other business entities, that help keep the medical marijuana industry alive. The National Institute on Drug Abuse rejected an FDA-approved protocol to allow for clinical research assessing the use of cannabis to treat post-traumatic stress disorder, stating, "We generally do not fund research focused on the potential beneficial medical effects of marijuana." Most recently, Deputy Attorney General James Cole, along with the four U.S. attorneys from California, announced plans for a coordinated effort against operations in California that provide above-ground access to cannabis for those patients qualified to use the substance in accordance with state law." The war on marijuana is indeed a strange one, considering the legality of cigarettes and alcohol -- products that have vastly greater potential to harm public health, without any of the medicinal benefits. Not to mention that the FDA approves drugs, prescribed by doctors every day, that kill over 100,000 Americans a year. Moreover, by shutting down reputable marijuana dispensaries, it will only force those who legitimately depend upon it to alleviate their suffering to enter the (sometimes dangerous) black market. "Landlords, worried the feds will steal their property, will tell dispensaries to move out. Banks won't handle money for pot-themed businesses. Dispensaries will be taxed so heavily they won't be able to cover the payroll or pay the electric bill. …An estimated one million people in California have obtained a doctor's recommendation to grow and use marijuana legally. Patient estimates in Washington are hazier, but the number is thought to be around 100,000. If the feds shut down every dispensary in the country, all these people will still be able to legally possess marijuana—no matter where they bought it—under their state laws. The only difference is they'll be forced to go back to buying their weed from Mexican drug cartels, rather than from Americans who provide jobs and pay taxes." 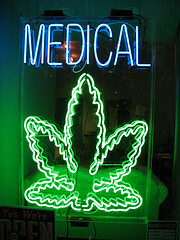 To see what the medical uses for marijuana are, click here to go to Part 2. And here's a quick video showing Montel Williams Marijuana Dispensary in Sacramento, California.